We’ve found great deals at 3742 hotels! All guestrooms in this Wuhan hotel are appointed with central air-conditioners, international direct-dial phones, digital TVs, video-on-demand systems, electronic safes and mini bars. The hotel also offers executive, non-smoking and cartoon floors. Dining outlets here include several restaurants and bars. Guests can sample authentic Sichuan flavors and savory Cantonese cuisine in the Chinese restaurant. The steak house restaurant serves mouth-watering steak and delectable seafood. The Korean restaurant offers genuine Korean barbecue. In addition, guests can chat with friends in the on-site bars while tasting a wonderful drink. Business travelers will find the conference center and several banquet halls on the third and fourth floor well equipped with advanced projectors and sound equipments, suitable for weddings, banquets, meetings and all kinds of social events. 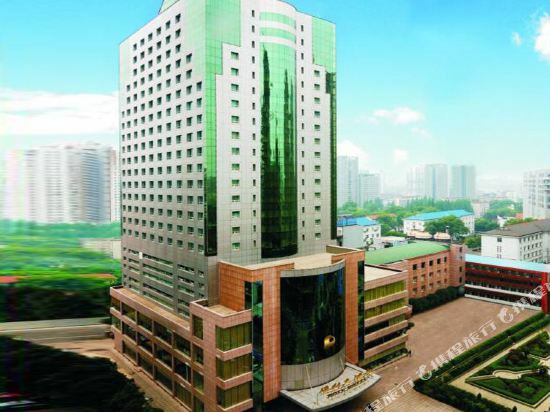 The Best Western Mayflowers Hotel Wuhan (Zuijiaxifang Wuyuehua Dajiudian) is located in Wuhan's business district, a five-minute drive from the Yellow Crane Tower and 2 km (1 mi) from the railway station. Each room is equipped with a domestic and international direct dial phone, high-speed broadband Internet access, a satellite TV with HBO and in-room movies as well as a mini bar. There is also a non-smoking floor and an executive floor. Dining outlets on the premises include Chinese and Western restaurants, a bar and coffee shop. Business travelers can take advantage of the hotel's business center, function hall and conference rooms. Guests can go for a swim in the indoor swimming pool, socialize in the nightclub or relax in the sauna, massage center or spa. In addition, the hotel also has a ticketing center, a gift shop, a beauty salon and a parking lot. 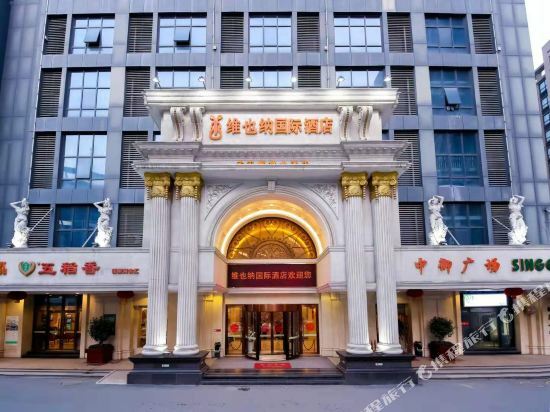 The Dongfang Jianguo Hotel Wuhan (Wuhan Dongfang Jianguo Dajiudian) is located in the business area of Hankou, close to the railway station. It is the nearest high star-rated hotel by Tianhe Airport. Guestrooms are designed in the contemporary Continental styles and are well-appointed. A Western restaurant and a Chinese restaurant are avaialble for hungry guests. For recreational needs, a chess/poker room, fitness center, foot bath center, karaoke and night club are available. 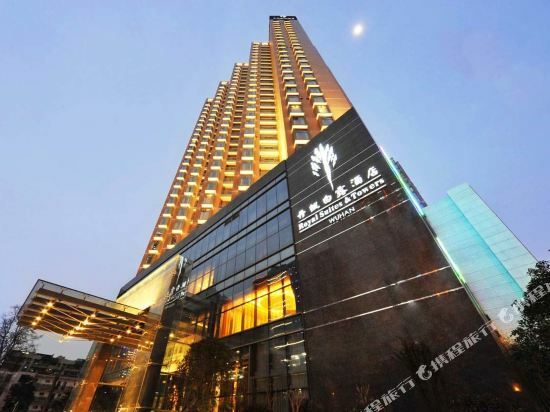 The Ramada Plaza Optics Valley Hotel Wuhan (Wuhan Huameida Guanggu Dajiudian) is situated in Optics Valley Square, where high-tech firms and research institutes converge. Donghu scenic area and Wuchang commercial district are a ten-minute drive away. Tianhe International Airport is a 50-minute drive away by car. All guestrooms are cozy and elegantly decorated. Chinese, Japanese, and Western restaurants are available. Additionally, there is a revolving restaurant on the top floor. The banquet hall and various types of conference rooms equipped with simultaneous interpreting systems are great for hosting assorted functions. For recreation, the hotel offers a gym, an indoor swimming pool, spa, sauna, KTV, game rooms, and a performance hall. Over 100 parking spaces are also available. The 43-Storey deluxe Howard Johnson Pearl Plaza Wuhan (Wuhan Jiangcheng Mingzhuhaosheng Dajiudian) with its distinctive golden globe tower, is conveniently located in the heart of city's commercial and entertainment district, the hotel is just a few minutes walk to the government offices and just across from the famous Yangtze River. Most of the 393 comfortably appointed rooms and suites offer stunning and panoramic views of the river. This international hotel is just 15 minutes' drive to Wuhan International Exhibition Center, 20 minutes to the Railway station and 40 minutes to the Wuhan Tianhe International Airport. 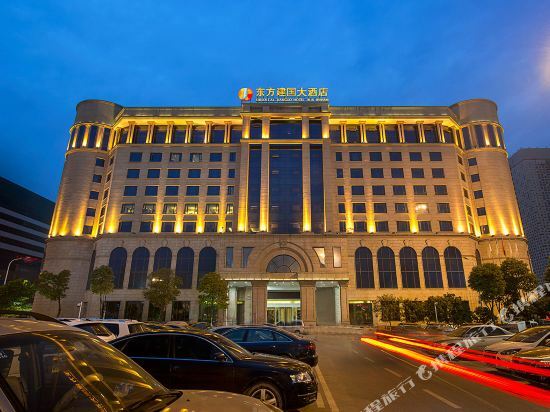 The Wuhan Jin Jiang International Hotel (Wuhan Jinjiang Guoji Dajiudian) is a five-star hotel conveniently located 2 km (1.2 mi) from Wuhan Square and 3 km (1.9 mi) from Wuchang Railway Station. On-site dining options include both Chinese and Western fare. A coffee shop and lobby bar provide additional spaces for guests to unwind with a drink or meet up with friends. The multifunctional ballroom and conference facilities can host large social or business events accommodating up to 400 people. Guests can indulge in massage or sauna services, work out at the gym or take a dip in the pool. Wuhan, on the side of Yangtze River, is the largest city in central China. The Yangtze River and Han River divide the city into three regions: Hankou, Wuchang, and Hanyang. On October 10, 1910, the famous Wuchang Uprising broke out in Wuchang, firing the first shot of the Revolution of 1911. Wuhan's most popular sights include Yellow Crane Tower, one of the three most famous buildings in the south of the Yangtze River; Donghu Lake, the state-level scenic spot first designated by the State Council; Guiyuan Temple, known for its five hundred arhats, jade Buddhas and long history; Guqintai; and so on. Hankou is the commercial center of Wuhan and is also home to most of the historical and cultural sites. The former concession left many historic buildings, mainly located on Jianghan Road Pedestrian Street and Hankou River Beach. Wuchang is the center of science and education in Wuhan with plenty of prestigious universities and colleges. The famous Wuhan University and Huazhong University of Science and Technology are located here. Many of Wuhan's famous attractions are located in Wuchang, such as Yellow Crane Tower, Donghu Lake, Hubu Alley, and Tanhualin. The Hanyang Self-Strengthening Movement made this area an industrial center of Wuhan. There are the Hanyang Iron and Steel Plant, the Arsenal Factory and Guishan Park, the Qingchuan Pavilion and Guiyuan Temple. Huangpi District is about 30 kilometers away from the urban area of Wuhan. The Huangpi Mulan Culture Ecological Tourism Area is a place where you can enjoy the natural scenery. Most of the landmarks in Wuhan are located in Wuchang, such as the landmark building Yellow Crane Tower, the famous food district, Hubu Alley, Wuhan University, which is famous for cherry blossoms, and Lake Donghu, the largest city lake in the country. Tanhualin district, home to dozens of multi-cultural buildings, is the preferred place for local young people to stroll around. Hanyang Art District is a creative park transformed from an old factory district, and is especially suitable for young people who like to take pictures. The Jianghan Road Pedestrian Street, which is located in Hankou, is a century-old commercial street with numerous department stores and brand stores. The surrounding old buildings are also worth visiting. The Wuhan Tiandi under the Hankou Bridge at the second Yangtze River Bridge is a new landmark of Wuhan's business with numerous distinctive small shops gathering here. The Guanggu Pedestrian Street at Wuchang Hongshan district has many fashion department stores, attracting many young people for shopping. When coming to Wuhan, spring and autumn are most suitable seasons. The summer in Wuhan is very hot, so tourists to Wuhan mostly avoid the summer, especially July and August. The winters in Wuhan are very cold and not very suitable either. Because Wuhan is famous for its cherry blossoms, the number of tourists will soar in March and April. The popular Wuhan University will be crowded, and Wuhan hotel prices will also increase. Unless you want to see the cherry blossoms, we advise you try and avoid this period. Hotels in Wuhan are easy to find. Tourists generally choose to stay in Hankou or Wuchang. These two areas have most of Wuhan's famous attractions, with convenient transportation and commercial facilities. 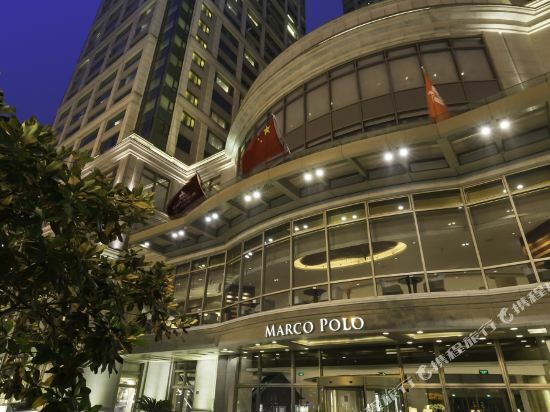 Hankou has many high-end hotels in the financial and commercial center. It has famous scenic spots such as Jianghan Road Pedestrian Street and Hankou River Beach. The transportation is convenient. There are two metro lines and Hankou Railway Station. Wuchang district has many famous attractions such as Yellow Crane Tower and Hubu Alley. The transportation is also very convenient. There are many colleges and universities in the area, and there are more economical accommodations nearby. If you come to Wuhan in the cherry blossom season, you can stay near Donghu Lake or around Wuhan University to enjoy the flowers. 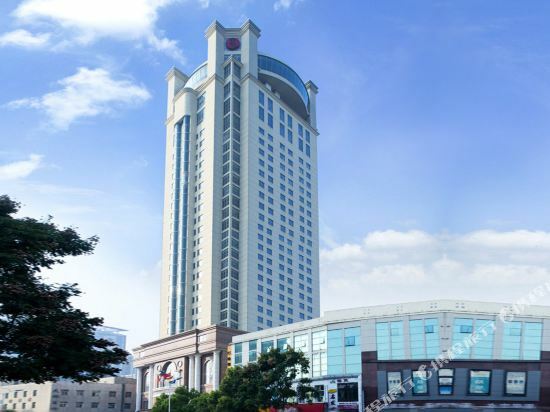 Wuhan hotel information & deal: Check out room rates, photos, a map and reviews of hotels in Wuhan and find the best deals on Wuhan hotels. Trip.com offers big savings on online reservations for Wuhan accommodation. Book Wuhan vacation packages and Wuhan tours with huge discounts on Trip.com!